My daughter started kindy this year, and boy I had no idea how ‘really, really important’ it is for her to have the most magnificent pens, pencils, erasers, etcetera. So this colourful collection looks like a must-have for us. 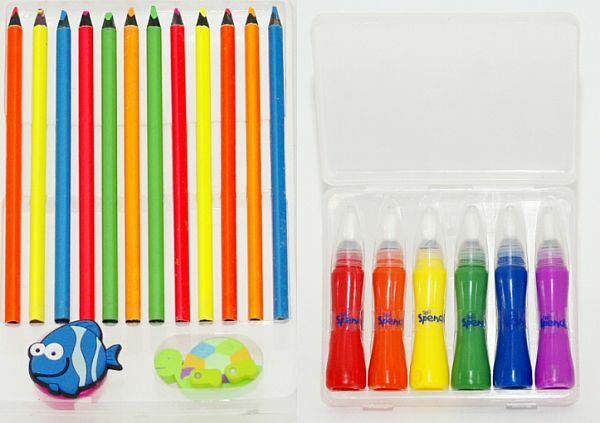 Spencil Stationery is a great range of everything creative kids can possibly need, from gel pens and crayons to notepads and the ever popular brightly coloured, animal-shaped erasers. I particularly like the paint pen set – chunky non-toxic paints in great colours that are easy to clean and keep mess to a minimum, always a plus for me! Keep an eye out for Spencil stuff at your local newsagent or get your hands on the paint pens for $11.95 from Urban Baby.